YouTube is one of my most favorite interactive resources to enhance my classroom instruction! 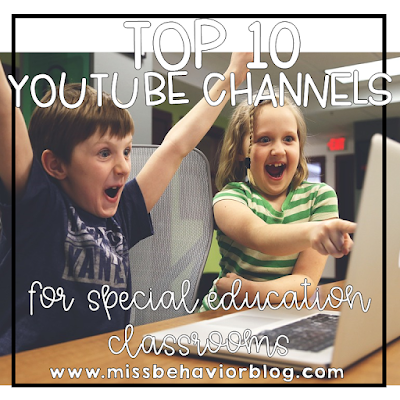 Here are my Top 10 YouTube Channels for Special Education Classrooms (in no particular order!). I have also linked some of my favorite videos from each channel. I love this channel for learning about animals AND cultures. They have playlists of videos about animal types (wild cats, birds, etc. ), longer documentary-style videos about specific animals, and really a amazing video series called "Are We There Yet?" that feature kids visiting different countries around the world. We LOVE our classroom coffee cart. This year, we started doing it on Fridays. 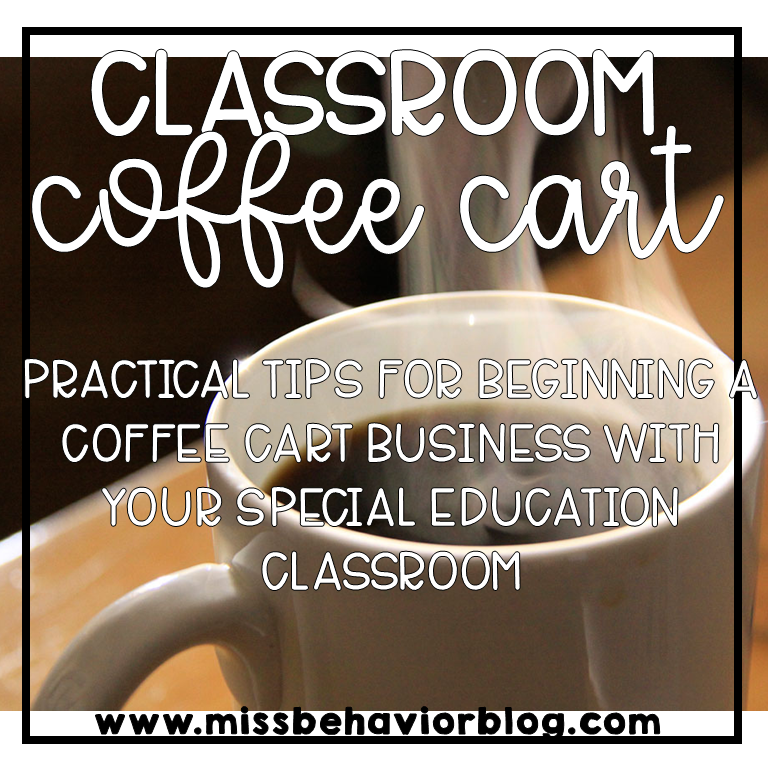 As a classroom that follows CCSS and uses an adapted, but still gen-ed, curriculum, doing a coffee cart daily during the school year would have been tricky. We have a lot to cover academically, but we justified using Friday mornings as a great time to generalize social skills. During ESY, we will do our coffee cart daily! Our coffee cart "business" consists of a Keurig, K-Cups, creamer, sugar packets, Styrofoam cups and a utility cart. These materials are not cheap, and we had to get creative on how we were going to obtain them all. I created a DonorsChoose project which funded the biggest items on our list. We were able to get sugar packets and stirrers donated from a local coffee shop! Then, our mission was ready to go! My students created fliers that we emailed around the school letting them know about our venture. Since we got our materials donated, we decided we would offer our coffee for free. We take donations which we will donate to a local charity at the end of ESY.